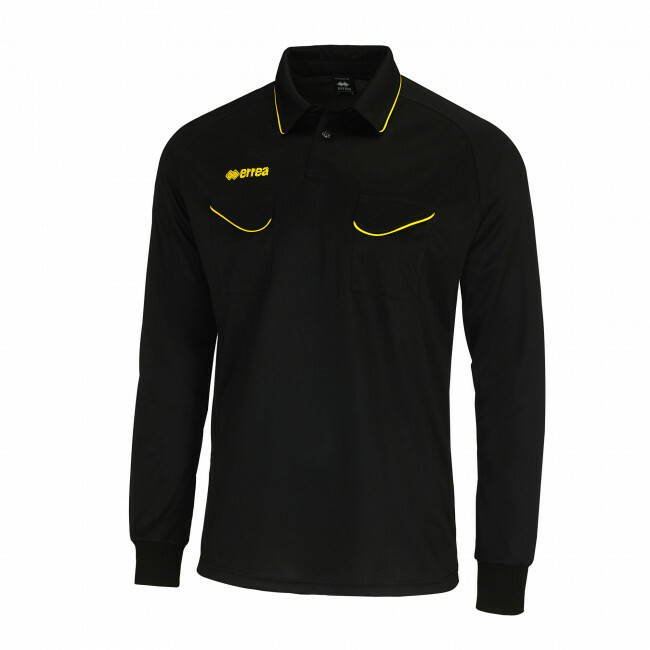 Referee shirt for men. Long sleeves. Elasticated ribbed cuffs. 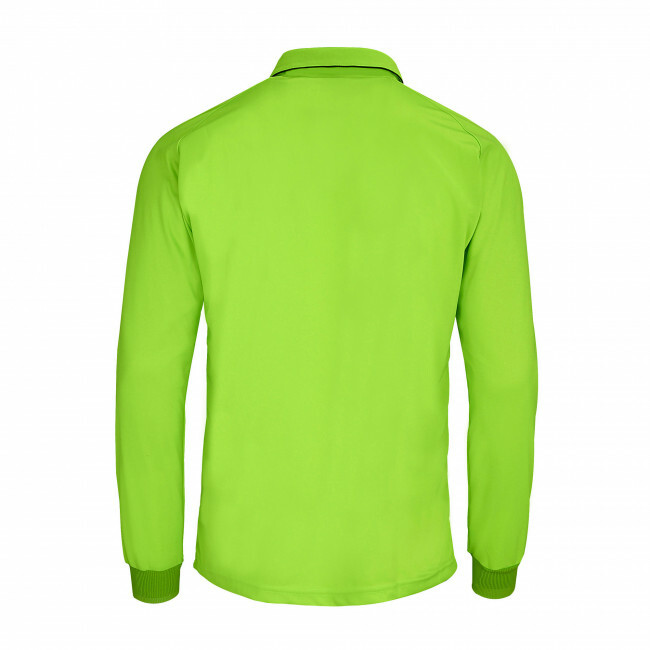 Special shirt collar, with single button placket. Chest pockets with Velcro closure to insert cards or badges. Cut and sew with contrasting piping. Normal fit. Skin fabric (100% polyester). Solid colour. 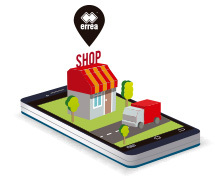 The Howard referee black jersey by Erreà is a lightweight, comfortable yet resistant garment, provided with practical pockets to hold all the gadgets or cards. 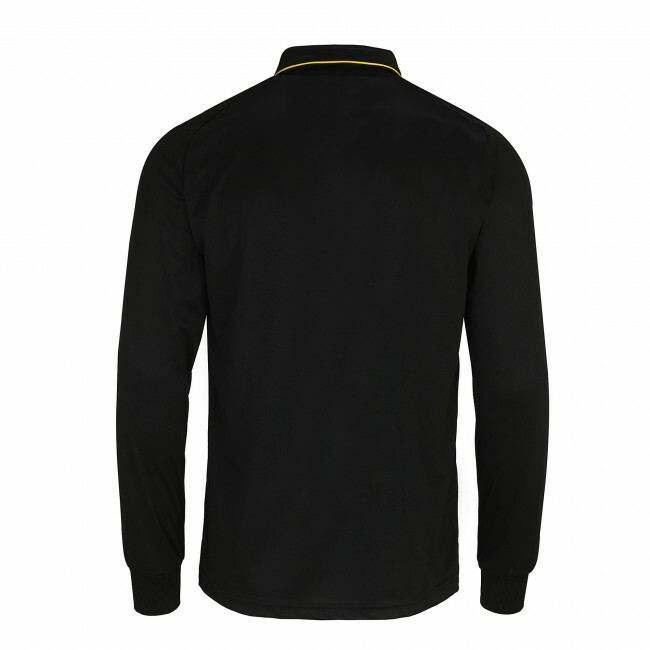 Its shirt collar and the button on the placket make this shirt an essential garment for any referee wanting to feel authoritative and elegant when on the pitch. The contrasting piping give this classic garment a modern look. The long sleeves make of this shirt the perfect garment for wintertime: the elasticated sleeve cuffs provide an excellent fit and protect you from the cold, at the same time assuring the garment's breathability.